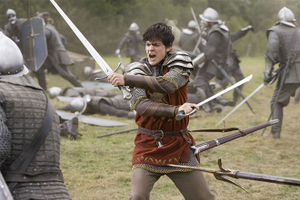 MIXED REVIEWS FOR "PRINCE CASPIAN?" PROBABLY. Most likely they will be. There are two main reasons for this. First of all, Prince Caspian is a religious film and specifically Christian based. An awful lot of film reviewers are secularists and just not really familiar with what Lewis was trying to do with the novel. Few expected The Lion, The Witch And The Wardrobe, the first installment of Narnia, to be as wildly successful as it was. Hollywood scratched its head trying to figure out how a Christian themed movie could capture the world's imagination. Look for the reviewers to be a lot more critical of this film. Second, look what happened to The Golden Compass. A concerted effort was made by folks who blogged and critiqued the underlying assumptions of the novel and the movie. It was about as anti-God as a fantasy film can get. And it failed in this country, garnering only 70 million dollars (compare that to Narnia's $292 million in the USA). Lots of people are mad about that and we ought to expect their voices to be heard as Prince Caspian makes its debut. Just an educated guess on my part, but expect about a 65% favorable rating after the reviews have been averaged. Even though that's deemed a mixed result, consider that positive, given the above facts. The first Narnia film came in with a 75% rating. Usually reviews can be enlightening. Watch for unfavorable propaganda this time. I doubt much whether the reviews will seriously affect the box office. Prince Caspian will be a hit, and a big one to be sure. *****First reviews are in and they are favorable. Check them out at The Hollywood Reporter and at Variety. Here's an opposite view at emmanuel levy. ****May 14 UPDATE: Reviews from the mainstream press continue to be positive with the exception of newsweek. For far more uplifting reviews, check out usa today and entertainment weekly. Enjoyed the article. Brilliant writer, just as I remember. I will go to the movie. Also enjoyed the article and pictures of the pope. *****glad you liked it, Joan. Hope you are doing well! Hello. Congratulations for your blog. I think that to be fair one must also consider the movie quality as well when comparing The Lion, the Prince, and the Wardrobe to The Golden Compass. The former was well made and had a cogent script, which provided a good movie-going experience. The latter, although containing good acting and effects, had a muddled script and was difficult to understand as story clarity was sacrificed in order to jam in part of the second book. It received less than favorable reviews from critics and, although that does not always presage audience response, it might have influenced audiences to make other selections, especially when December is already crowded with other activities. ****I agree with you Julie, but it is interesting that along with the above came a deluge of protest and advice to avoid the movie from people like to me to parishioners and families who would otherwise have thought they were going to go see just another family-fantasy flick. Besides, if the folks didn't go see it, how would they know the script was muddled and the story convoluted--I think bad reviews and a red flag about what the movie really was did have some effect.